Calabasas Dog Bite Injury Attorney – Over Forty Years of Experience You Can Trust Were You or a Loved One Injured in a Dog Bite or Dog Attack Incident in Calabasas? The dog bite and dog attack injury attorneys at the Walch Law Corporation are here for you. With over 43 years of experience resolving dog bite cases, our legal team offers compassionate, determined legal help to victims of bites and attacks and their families in the city of Calabasas and surrounding areas of Woodland Hills, Hidden Hills, Agoura and all of Los Angeles. Our main law offices are located right on Calabasas Road, just opposite the beautiful Calabasas Commons Shopping Center and just west of Trader Joe's, with convenient free parking. Please call us now at 818-222-3400 (after hours dial 1) or just click here to use our simple case evaluation form. Our consultation is absolutely FREE and if we take your case we shall work for you on a contingency fee, which means there is NO fee to you until we win! Please do not delay as there are many time deadlines and procedures that should be followed in every dog bite claim. From 2009 through 2011, 26 ,169 animal-to-human bites were reported in Los Angeles County, of which 23 ,103 (88%) were dog bites. Most animal-to-human bites (29%) occurred between 4 pm and 8 pm and peaked during the month of July. Most dog bites occurred in adults aged 25-44. 10% of all dog bites resulted from grabbing or attempting to restrain the animal. Hands were the most commonly injured body parts. 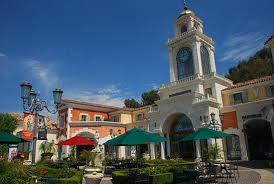 Calabasas is a relatively new city. It was formally incorporated in 1991. 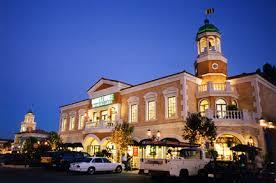 Located in Los Angeles County, CA, in the western part of the San Fernando Valley and northwest of the Santa Monica Mountains, Calabasas is surrounded by Woodland Hills, Agoura Hills, West Hills, Hidden Hills, and Malibu. The population in 2010 was 23,058. Calabasas is named after the Spanish word for pumpkins, owing to the local legend that a Basque rancher once lost an entire wagon load of pumpkins on the El Camino Real, leading to hundreds of sprouting pumpkin vines the following spring. The area where this first pumpkin patch supposedly was accidentally created was named Las Calabasas, or ‘the place of the pumpkins’. Residents and visitors alike can enjoy the wonderful annual Pumpkin Festival hosted by the Calabasas Chamber of Commerce in October. This fair is hosted at the Juan Bautista de Anza park, and features carnival games, demonstrations, live entertainment and multiple exhibits. Dog bite and dog attack injury victims in Calabasas may suffer extreme injuries, including lacerations, puncture wounds, secondary infections, nerve damage, amputation and permanent scarring, as well as severe emotional and psychological distress, including PTSD. Necessary treatment by healthcare and mental healthcare professionals must be provided, including visits to medical specialists, plastic surgeons, neurologists, and pain management doctors, as appropriate. Many secondary injuries can arise from dog attacks and bites, especially when the victim is knocked down. These can include muscle strains, torn ligaments, broken bones and sprains. Orthopedic care, physical therapy, and visits to chiropractors and other specialists may also be necessary. Death sometimes may also result from the initial attack or secondary infections, leading to wrongful death claims. 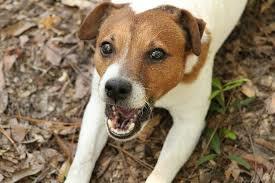 Dogs are easily startled or frightened and will react in order to protect themselves. They may also bite and jump as a form of play, which is unsafe for small children. All dogs, including beloved family pets, may exhibit these behaviors. 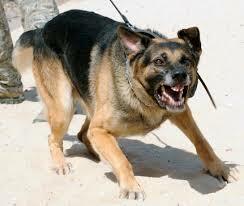 Stray dogs may be injured, ill, frightened or territorial, and attack for multiple reasons. Approaching a strange dog without the owner’s permission is generally unwise and dangerous; and loose dogs are more dangerous, due to being unrestrained. Calling local Animal Control and/or luring the dog into an enclosed, safe area for rescue are good options for avoiding injury. Even gentle, well-behaved animals may bite or attack due to pain, stress or pain. Keep yourself, your loved ones and animals safe by maintaining a proper and safe distance. Animals deemed dangerous or nuisance animals can be ordered to be destroyed (and we do not want that to happen to good animals who were just startled), and you or a loved one may suffer terrible injuries as a result of a bite or attack. Common serious injuries suffered by dog attack and bite victims are nerve damage and sometimes even amputation. These injuries are life-altering and may create permanent disabilities. Such injuries also can require extensive reparative and plastic surgeries, as well as rehabilitation and physical therapy. They contribute to physical, emotional and psychological pain and turmoil. If you or anyone you know have suffered these or other injuries from a dog bite or dog attack in Calabasas, the Los Angeles area, or anywhere within the state of California, contact us now, and let us assist you. We can also provide referrals to doctors, including specialists, who often may provide care without payment until your case is resolved. For more information about attack and bite injury insurance claims, or to find out more about us and our areas of practice, please visit our Dog Bite and Dog Attack Injury page, and our Attorney Profile Page. The law offices of Gary K. Walch, ALC, are here to protect and pursue your rights while representing your best interests. We provide you with the dedicated advocacy and ready counsel you need when you or a loved one has suffered a dog bite or other injury. We offer compassion and understanding, and make this process easier on you and your family. Our strong team of lawyers handle dog bite and attacks, car, truck and other vehicular accidents, uninsured motorist (UM) claims, and much more. We strive to provide the best possible customer service. You may call or contact our law offices now for an abolutely free legal consultation from an experienced dog bite/dog attack injury attorney or any member of our dedicated legal team. Remember, our law firm on dog bite and dog attack injury cases offers an absolutely FREE consultation and There is NO fee until you win!